​D200 was built by the now famous English Electric Company at their Vulcan Foundry Works, Newton-Le-Willows, Lancs and entered service in the Great Eastern Region in March 1958, allocated to Stratford Shed. 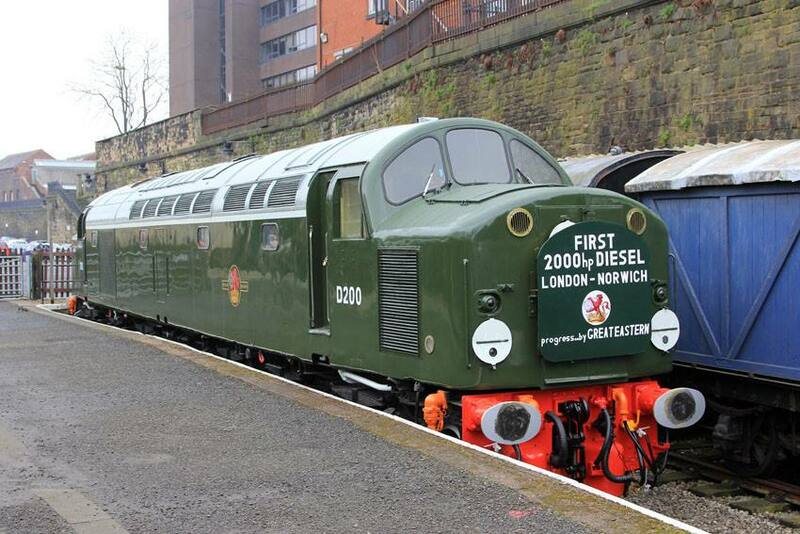 On the 18th March she worked a special demonstration train from London Liverpool Street Station to Norwich and back, carrying a large headboard proclaiming the “First 2,000hp Diesel London Norwich. Progress by Great Eastern". The locomotive is now a static exhibit only at the National Railway Museum York after suffering main generator bearing problems while on loan to the North Yorkshire Moors Railway.